Many sellers live by the maxim, if it isn't in writing, don't trust advice from an eBay customer service representative. We've read plenty of reports from sellers who say they've been burned by following advice offered over the phone that proved to be incorrect. Now comes acknowledgement from an eBay moderator on the company's forums that many policies are not available in black and white on its site. A reader who forwarded the thread wrote, "Maybe I am wrong on my thinking, but if you are not able to find the rules anywhere in writing, how can you possibly follow them?" The moderator, who often is praised for his helpfulness in resolving problems on the board, was participating in a thread in which a seller ran into difficulties and had their problem resolved. But the issue (involving returns) generated some interesting discussion about how to respond when such problems arise. "As for your other point regarding policies not directly stated on the site, I can clarify that the vast majority of our policies are not publicly stated. This helps to minimize abuse of our protection programs, as those who seek to commit fraud are not able to exploit some of our procedures. Part of what I can help offer here on the boards is education and clarification when the written policies do not fit the specific situation. Every situation is different and unique and not every one will fit neatly under one procedure or another. "When information is relevant, it is provided. Emails are sent with next steps for situations like this even though the details are not given on the help pages. Certain protections are available to sellers that would not be spoken of before they are needed, and at that time would be shared. This is a very common practice with various protection programs and while I can understand the desire to be knowledgeable on what to expect in a case, we are not able to provide all details about every process and also ensure the highest level of protection. Some things simply need to remain internal." The reader said, "How are sellers ever supposed to be able to run a business on eBay when the vast majority of their policies are not publicly known? That makes it so eBay can just change the interpretation at will depending on the buyer and seller involved." Before commenting below, read the entire thread for context. The discussion is worth reading to see the kinds of problems that sellers encounter, how eBay deals with such issues, and what happens when the right eBay moderator gets involved. The specific post in question is #60. I'm not surprised there are above-top-secret policies that eBay is willing to spring on sellers without notice. And I bet said policies always favor the buyers. Ebafia has more secrets than the CIA. The point eBay is making (and has been making since 2007) for small sellers trying to run a business on eBay ... is obvious ... they don't want you on their site. Recall Donohoe's reign of terror. Recall Wenig's 1st eBay Live speech - he was going to embrace small sellers community, said something about the millions of treasures stored in millions of attics across America ... what has he done going into his 3rd year for any of us. Not much. We have to give credit to Donohoe - he at least told us straight up he hated the site cluttered with our listings and was swift with implementing land mines to purge as many small sellers as he could. With Wenig - we get passive aggressive leadership and after reading this post ... we are all players in the eBay version of The Hunting Games. An even larger source of frustration is when eBay does not follow their own written policies. Which are available for all to see on their website. In most, if not all of these cases, the buyer would be punished if these rules were followed as published. Of course, they need all the business that they can get, and will not jeopardize it. Just to name a couple: 1) Buyers are responsible to read and understand an item description before bidding or purchasing. 2) Returned items must be sent back in the same condition as when shipped, and complete with all accessories. Where is a business not really a business? On eBay. Where is a visible offering not really visible? On eBay. Where is a search request not really a search request? On eBay. Where is a payment not really a payment? On eBay. Where is the truth not really the truth? On eBay. Where is good advice not really good advice? On eBay. Where is a policy not really a policy? On eBay. Where is a partner not really a partner? On eBay. OMG Ebay has SO MANY published rules and/or policies that few can keep up with them. Now they tell us they have MORE rules and policies that are SECRET and/or unpublished than the ones that are published. Good Grief, can anyone count that HIGH!!! But it is even worse than this. Recently some members have come across PUBLISHED rules that Ebay is running a "test" on which if the seller files the published rule, they will end up with a defect. I need a DRINK !!! Maybe several! That employee just opened eBay up to a law suit. You can't have unwritten rules. The TOS is a contract. eBay expects sellers to uphold the parts that are agreed to at log on, you can't just make stuff up at will then claim it was policy all along. Don't the ex lawyers on eBay's board understand this? If you need advice on an issue, and you talk to three different eBay CSRs, each will advise you differently. It is unbelievable that a company of this size is run like this. Unwritten or secret rules? That sounds like hogwash. It sounds like it is stated so that when something is done that does not align WITH the rules that they can use this "unwritten rules" nonsense as an excuse. There are so many rules that I doubt the average eBay employee whose job it is to know these rules doesn't know. As Ming says however, we do know that there are many "secrets" that are holding sellers back, and implemented to do exactly that. 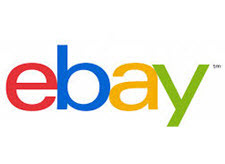 A small seller can not grow their business on eBay as a result. I've heard the phrase "rigged card came" used in the past as it relates to eBay. It truly is. Just another instance of a "moderator" making it up as they go along. I had this exact case about 8 months ago. Started out with a fake SNAD (as they all do). MY PARTNER (IN CRIME - aka the corp in San Jose) FORCED me to take back the SNAD item. Ok fine - cost of doing business. When you do business with thieves you cant expect to "come out clean". I issued the return label and for 3 days - all was quiet. Then came the "I cant print it out routine". Smoking some of Tools 420? Then the email from eBay CS (since ther was an open case) and I responded that I did as asked - and provided a label. Somehow, somewhere in the depths of the vile crime infested offices in San Jose, came a reply that its MY fault that eBay couldnt reproduce the label that I bought (oh and btw - sellers cant see the label itself so it cant be reprinted or resent by the seller) and they turned the magic TRINTON 5 day BS into 12! After a few more emails back and forth + 3 calls it seemed that neither eBay itself (their VIC 20's were broken) or the customer could reprint the label and that "if I didnt go out of pocket for YET ANOTHER LABEL, I WOULD GET A DEFECT AND LOOSE THE ITEM! I did eventually get the item back. Of course it wasnt SNAD, I dealt with the item and then resold it, and dodged the threats from eBay. The points then and now - why give the buyer 12 days instead of 5? Why are sellers responsible to deal with a label reprint at all? Why does eBay lie steal and cheat (although thats in every case) and why (ssme thing here) does eBay hate its sellers? Thats why when they trot out "good old BOBomatic" I know hes lieing - since its EBAY CULTURE to lie steal and cheat. Hence the mantra - eBay wants successful SALES, not successful sellers. When I've gotten the old "label" didn't print BS. I threaten to send them a pre-printed post dated one through snail mail and then they always seem to disappear. Please excuse my bad punctuation...only on the first coffee of the day, lol. eBay returns it unstable at most. I've had many customers try to return an item for exchange and open a return request, after to told the customers return requests are only for refunds not for exchanges since the system is not designed for exchanging, the customer then tells me that eBay customer service told them that they can also do exchanges in the return center and that they can return the product and I can exchange it for the customer without them closing the return case after me shipping an exchange to them. The problem here is that once I get the item returned and the tracking confirms it is returned eBay only gives you set amount of days to refund them, no other options. If I send a new item on exchange and they don't close the case I can be in for a rude awaking when eBay just automates the closing and refunding of the customer. I've told all customers once you have opened a return case we will refund you and you will repurchase a new item in which we will start the order process over again, but eBay tries to tell the customers the complete opposite leaving us open for fraud on the customers end should you send a new item and they decide they dont want to close the return on the customers end, eBay plays the pretend game like they will cover the seller, but any seasoned seller knows this is nothing more than a high risk situation for any seller, I deal in Jewelry so my items are of a very high pricetag, it's not a risk I will ever take with eBay I don' care what any of there customer service reps tell these customers, most these reps just make things up as they go and provide inaccurate information to the consumers. Exactly the sentiment this company has toward its sellers. I think the reason that sellers can't see the label sent to the buyer is because I think Ebay charges the seller for the label when the buyer prints it out. Maybe I'm mistaken and even if the buyer just views it the seller gets charged. Who knows at this point. In many cases it seems Ebay is changing things as they go along. But I certainly agree, the seller should be able to see the label. It makes ZERO sense that a seller cant see the label. It SHOULD show up in a sellers dashboard in the returns section. If it was there (like any OTHER label) then none of this would be needed/have to happen. I know no one here runs eBay - but this is one of those STUPID things that causes EVERYONE grief for no reason. All the seller would have to do is just re-email it - either in or out of eBays mail system and get it to the buyer. Theres no friction, no fighting - and everyone gets what they want ...... but stupidity reins at eBay. I was merely suggesting why Ebay may not allow it. I didn't say they were right in doing so. I see it the same way you do.